Whether I’d had a good year or a bad year, I wasn’t comfortable. Until my accountant worked her magic, I didn’t have a clue how much my liability would be. After 12 years of this, my vagueness around money was causing me so much pain, I decided I had to do something about it. I was lucky. A solution appeared about the same time. My accountant told me that my bookkeeping wasn’t good enough and she instructed me to use Clearbooks. Clearbooks is cloud accountancy software. It’s a kind of Facebook for managing your business. The program connects to your bank accounts and you download the transactions from your bank. You can then itemise them. The cloud element means that your accountant can also log on to your profile and tell you what you’re doing wrong. She also doesn’t need to piece stuff together from your piles of invoices – you generate all invoices on Clearbooks. I was sceptical at first. It involved setting up a direct debit for something that costs nothing to do on Excel. Still, January 2012 was the last straw. I took the plunge and signed up for Clearbooks. Within two years I had to register for VAT. Within three years the sums of money I was dealing with meant I had to become a limited company. Before, I’d thought of myself as a ‘writer’ – I believed money matters were a distraction to my purpose. Before, I’d toss receipts into draws and forget about them – I couldn’t see how recording every postage stamp would make much of a difference to my tax liability. Before, I thought it was important just to get work – as long as I was being paid things would be okay. By developing a willingness to get to grips with all aspects of my money, using Clearbooks every day and overcoming fears of tax matters like VAT, I reversed all my assumptions. Now, my accounts are the priority – I’ll spend hours trying to allocate a missing 35 pence, because clarity around money matters is my purpose. Now, when I get back from a business trip, the first thing I do is gather up all the small pieces of paper that describe my expenses and put them into Clearbooks. I never have to go back three months and try to work out what a receipt was for. Now, I wait at least 24 hours before replying to work enquiries, and reject at least 50% because they’re not realistic or there is a risk that the client might not pay. If I have to accept a piece of work because I haven’t got enough money in the bank, it can result in jobs that end up paying much less than the minimum wage. It’s counterintuitive, I know, but the new habits work much better than the old ones. For the past four years I haven’t had any worries about that looming deadline at the end of January. I don’t enjoy paying taxes, but I do enjoy having clarity about how much I owe to HMRC and everyone else. 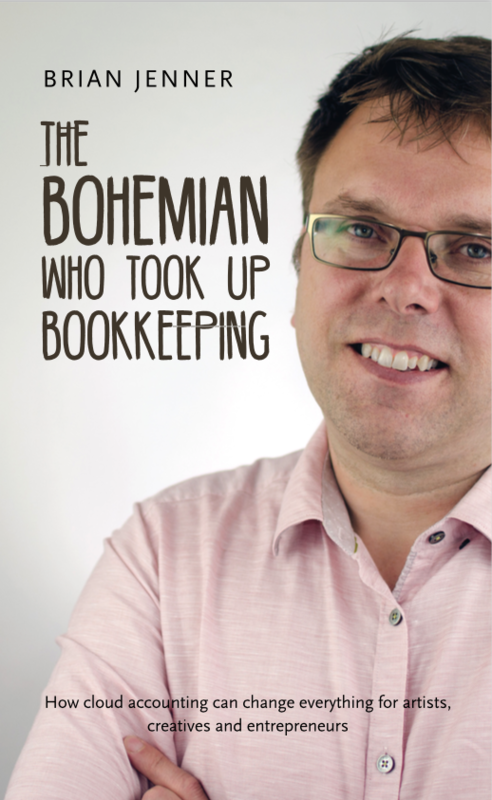 The Bohemian who took up Bookkeeping, How cloud accounting can change everything for artists, creatives and entrepreneurs. It enabled me to plot over time how I went from being financially illiterate to an evangelist for a healthy understanding of how money works. Who teaches us to use money? We pick up ways from our parents and a few other sources. I did research and worked out what behaviours would enable me to become a generous person with peace of mind around money. Among the writers I studied on the subject was Jacob Needleman. For those with regular jobs and PAYE, vagueness about money may be an affordable luxury, but the self-employed need to take money very seriously indeed. It wasn’t the bad payers, the time-wasters and the economic conditions that prevented me from making a good living, it was me. My hang-ups about money. For years I’ve worked with other writers, creatives and entrepreneurs. Most of us have the same problems. But a few don’t have money problems at all. The purpose of the book is to share their attitudes and habits so we can all overcome the money fears that blight the festive season.